If You Can Read This Out Loud, You Have A Strong Mind. Can You? 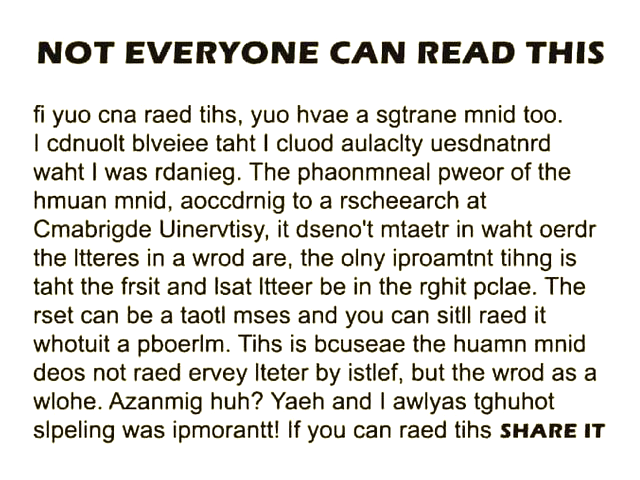 Cna yuo raed tihs? Olny 53 plepoe uot of 100 cna.